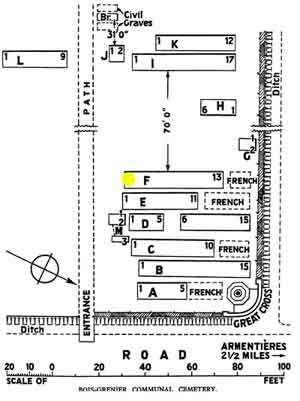 Bois-Grenier remained in British hands, though close to the front line, from October 1914 to April 1918, and the earliest British burials were made in the Communal Cemetery. 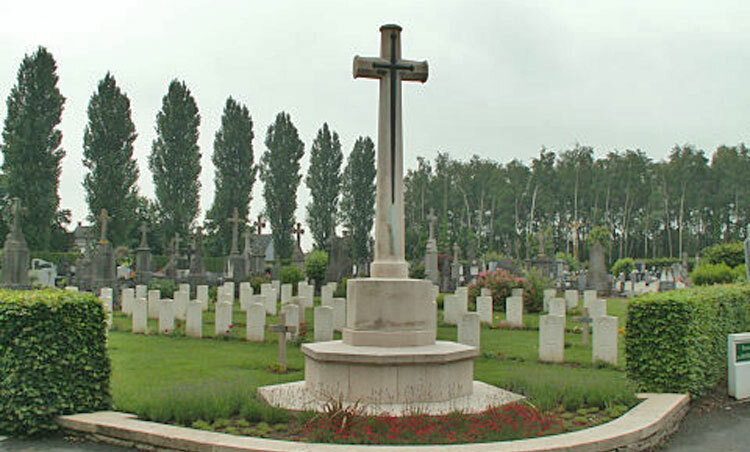 There are now 121 Commonwealth burials of the 1914-18 war commemorated in this site. Of these, 8 are unidentified; three in Row K, were brought in after the Armistice, from the North side of the village. There are also 4 unidentified French burials here. The British plots cover an area of 431 square metres.